Boil the Noodles as per package instructions. I boil it using enough water, 1 tablespoon of olive oil and a little salt. Once they are cooked, I drain and run it through cold water. Drain the water from the Noodles using a strainer. 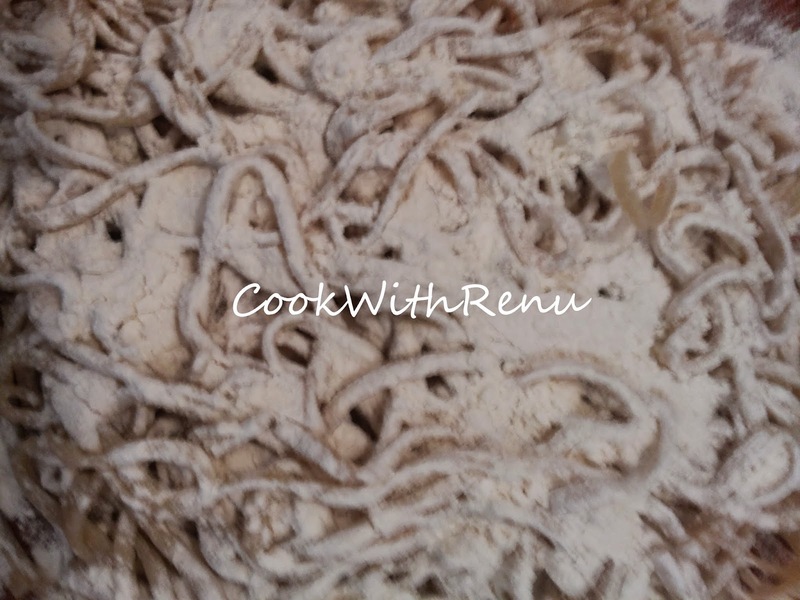 Once all the water is removed, spread the noodles on a muslin cloth or a clean kitchen towel. It will soak the excess water. Give it a tap all around so that the excess water is removed. Now sprinke around 2 tablespoon of Maida on it. Coat the noodles evenly with the Maida. Add more Maida if required. 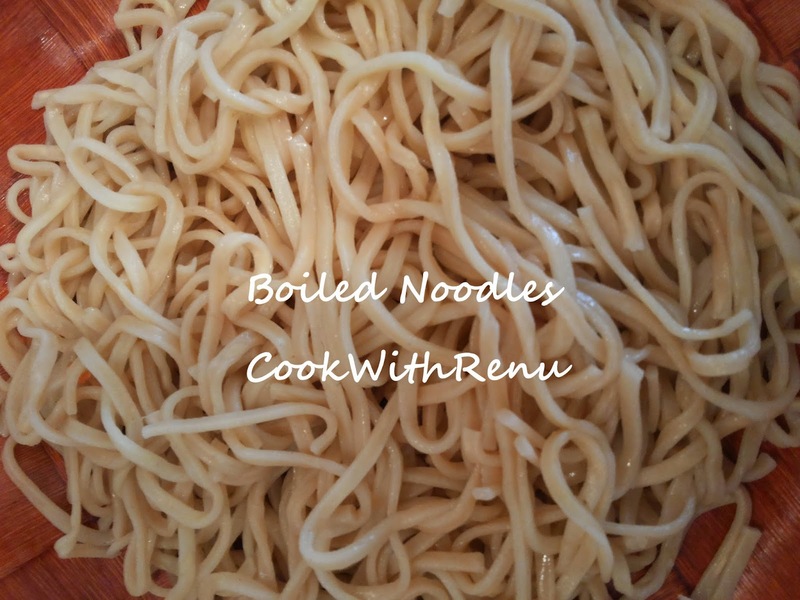 Noddles should be evenly coated as much as possible. 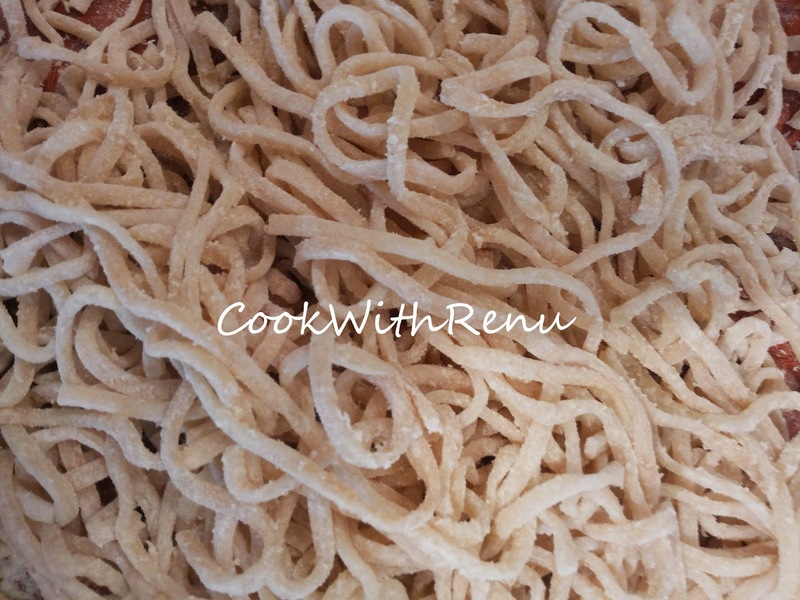 This helps in absoring any remaining water and also adding crunch to the noodles. 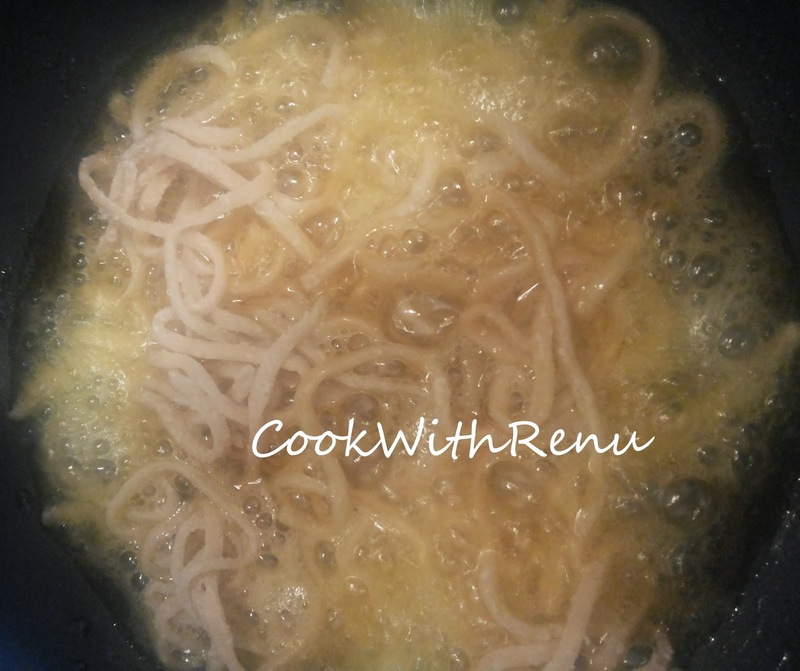 Once the oil is hot add the noodles. Do not add too much in one go or else they become cluttered and soft. Fry them on medium heat until golden brown. Remove it on an absorbent paper. 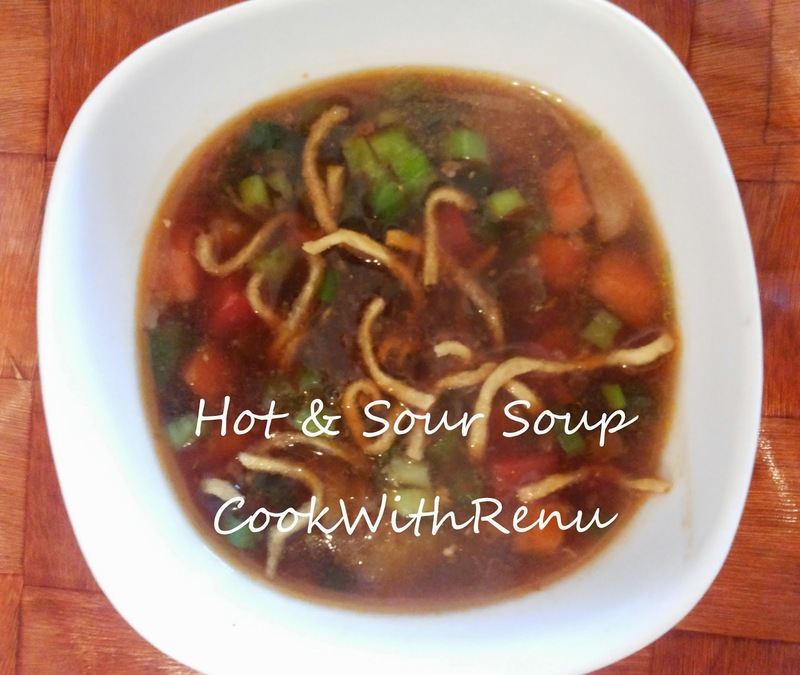 Crush the noodles lightly and enjoy it in Soup or Rice or Noodles or as it is. 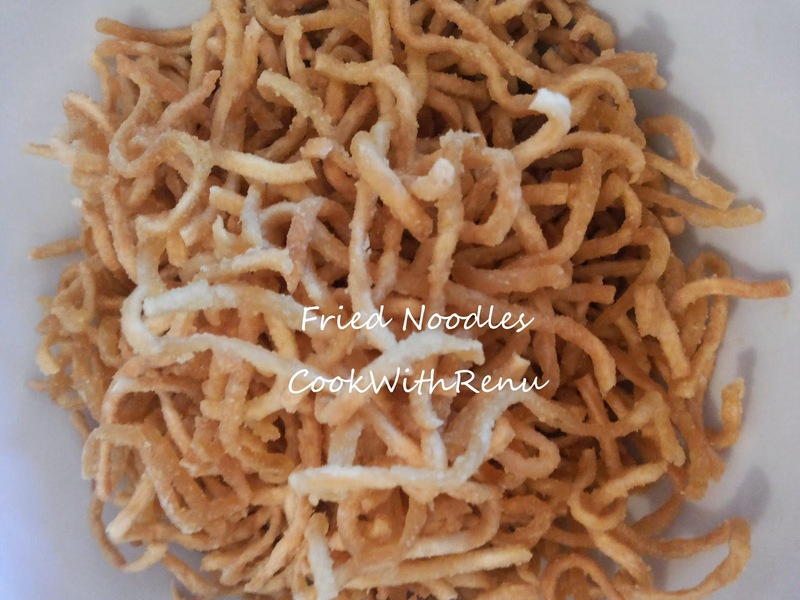 Love the crunchiness of this fried noodles in soups, thats an incredible post Renu, definitely a keeper. 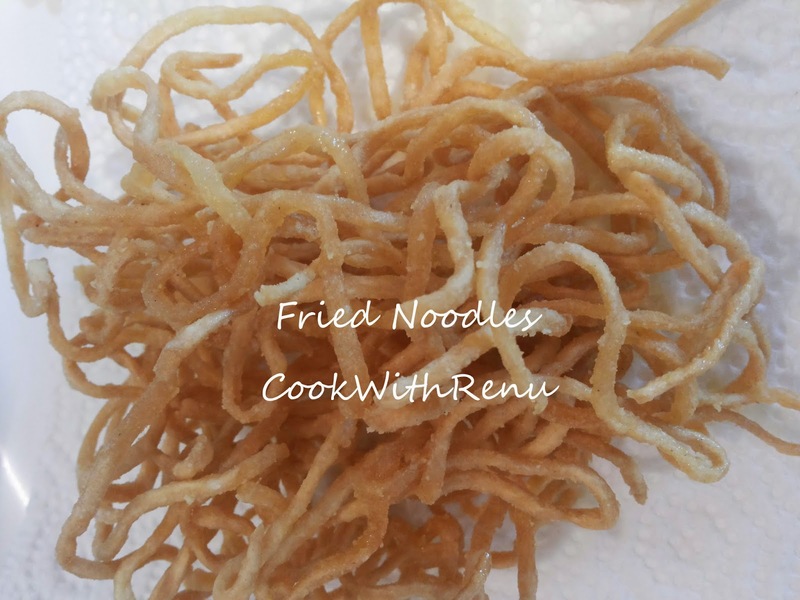 My little one loves these crunchy fried noodles with or without the soup 🙂 So I air fry them whenever she wants. That would be a lovely topping for a soup…not to mention a kid’s favourite!